New mobile data computers (MDCs) for emergency response vehicles have allowed Oceanside, Calif., to match the city’s computer lifecycle to police and fire vehicles’ lifecycles. New mobile data computers for emergency response vehicles have allowed Oceanside, Calif., to match the city’s computer lifecycle to police and fire vehicles’ lifecycles. New mobile data computers (MDCs) for emergency response vehicles have allowed Oceanside, Calif., to match the city’s computer lifecycle to police and fire vehicles’ lifecycles. The city is using MDCs from Alameda, Calif.-based Data911 in 65 police vehicles and 25 fire department vehicles. The equipment is used to answer nearly 100,000 emergency calls per year. The city previously used rugged laptops that frequently failed or had short life spans that resulted in high replacement and repair costs. Oceanside began searching for a more reliable system, with IT, fleet, and the police and fire departments working together to test various computer types before installing the Data 911 MDCs in 2005. Ten years after the initial purchase, city employees told GPN why they chose the system and why they’re still using it. 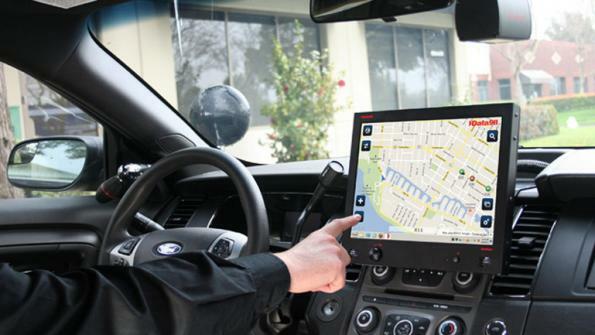 “It was an overwhelming decision to quit testing other systems and stay strictly with Data911—due mostly to the functionality,” says Jeff Hart, fleet supervisor and manager for Oceanside. The fleet manager’s main concern was that the previous system lasted only two years, which was shorter than the average patrol vehicle’s six-year lifecycle. Hart says that the new MDCs last at least five to seven years, which aligns with the life span of patrol vehicles. Officials at the city’s IT department say that the systems are reliable, easy to operate, have simple controls and are durable. The officials also say that components are easy to swap out if needed. The company offers a modular upgrade path on the firm’s M Series MDCs. The path allows users to upgrade components individually while preserving the full functionality of the system.